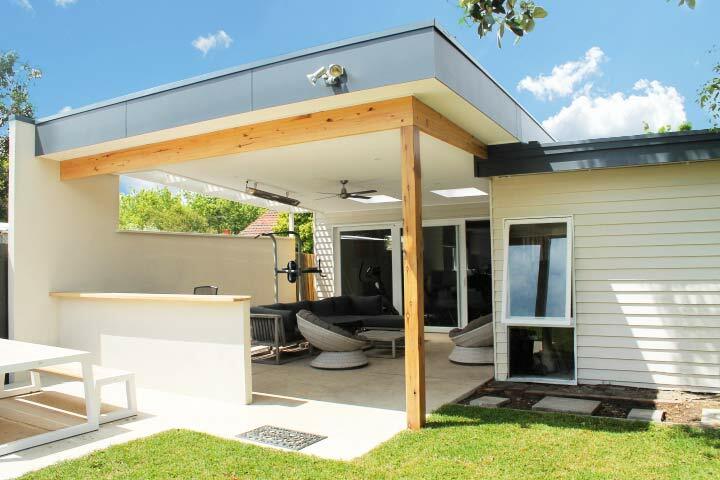 What was once a simple shade and pergola area has now been transformed into a fabulous indoor/outdoor living space. Beaumaris is but a hop, step and jump from the beach, so it’s natural to want to entertain outdoors and smell the sea breeze. 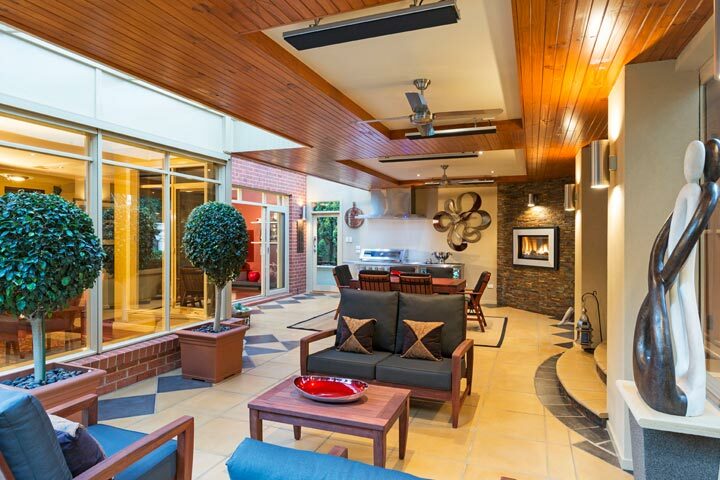 A large backyard space and turned into a sanctuary for entertaining family and friends whilst enhancing lifestyle. Walking under moonlight at night and enjoying sun protection during the day, with a living room view that seamlessly brings the outdoors in. Glen Iris Alfresco now protected from the afternoon sun, the wind and the rain. Now, no matter what the weatherman says. 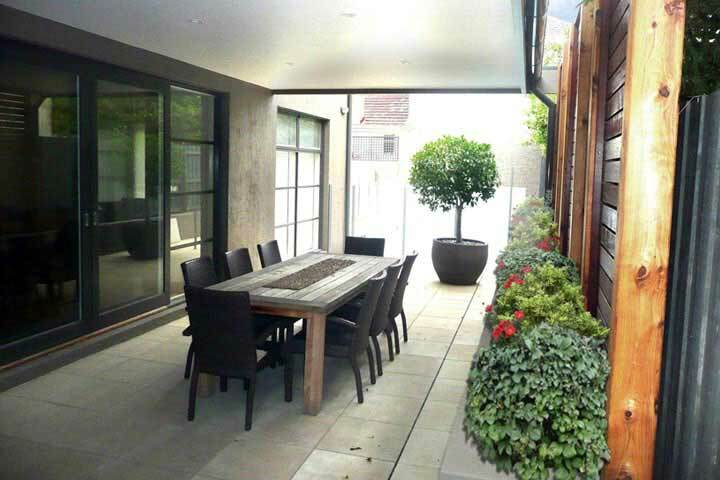 This long and narrow outdoor area was cleverly transformed into an inviting Alfresco that masks an old painted fence and neighbour’s trees. 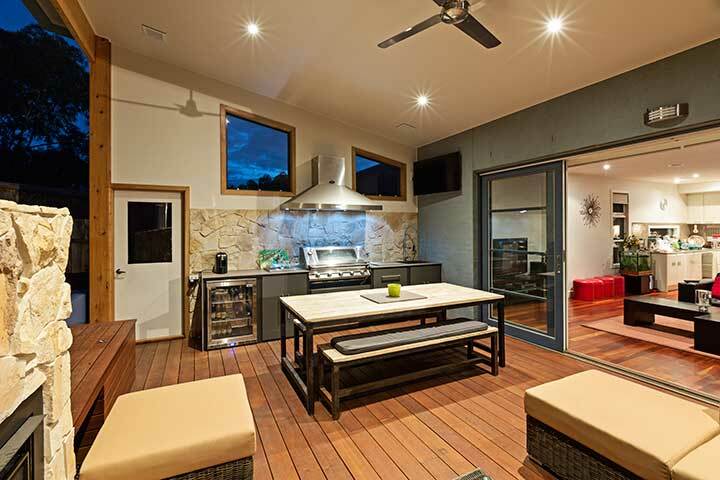 An open space, transformed by strategically placed footlights, a magnificent outdoor kitchen, and a seamless design. A deck with automated roof system, a wall-mounted TV screen, a tiled low-set Gas Fireplace, and a fantastic Alfresco to kick-back and relax in! The customised design was supplied to the owners in virtual form. It quickly became an Alfresco could be everything imagined. One small step through the bi-fold doors and you’d swear you were in Port Douglas, on the deck of some luxurious hotel suite! 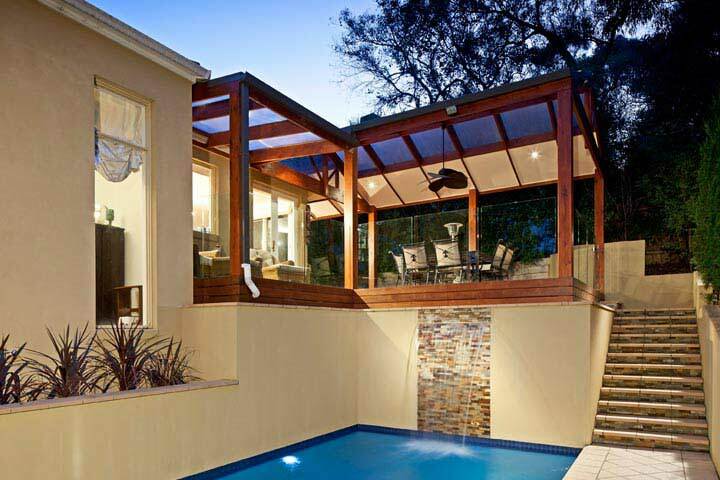 Whatever the time of day or night, this family can have entertainment and watch the sunset – all at once if they wish! 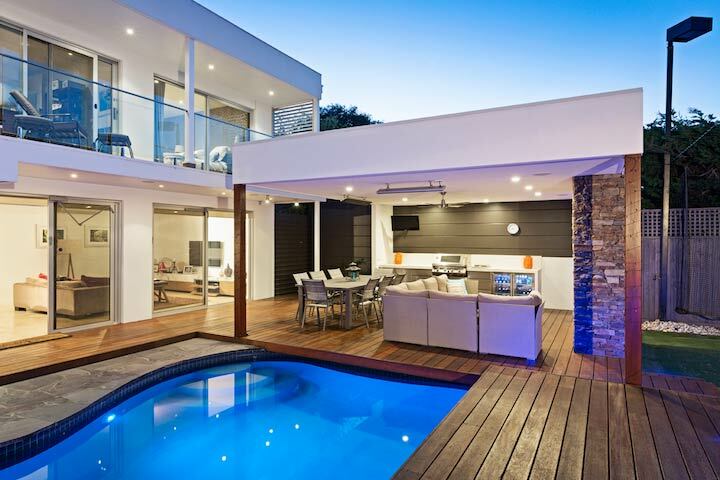 An outdoor castle of modern contemporary proportions, this stunning Sandringham Alfresco is picture-perfect. The flowing fresh air and the fabulous view of the pool and rock waterfall give the ultimate feeling that you’re somewhere truly special! 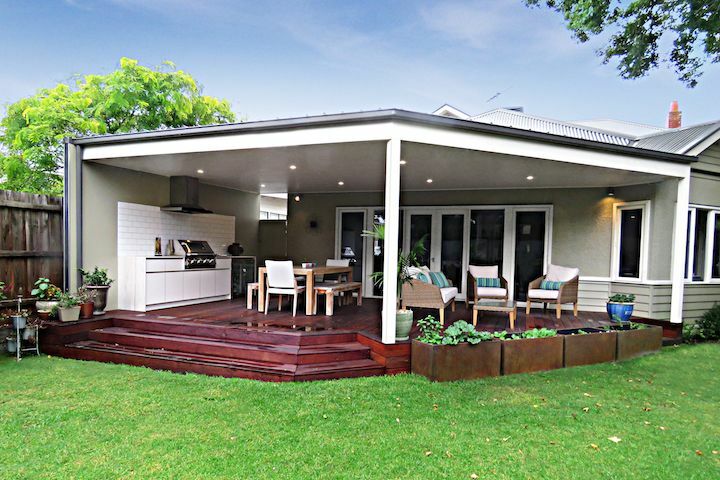 A large backyard space and turned into a sanctuary for entertaining family and friends whilst maximising the opportunity to enhance lifestyle. Glen Iris Alfresco now protected from the afternoon sun, the wind and the rain, it now means that no matter what the weatherman says. This long and narrow outdoor area was cleverly transformed into an inviting Alfresco that masks an old painted paling fence and neighbour’s trees. A deck with automated roof system, a wall-mounted TV screen, a tiled low-set Gas Fireplace, and a fantastic Alfresco to simply kick-back and relax in! 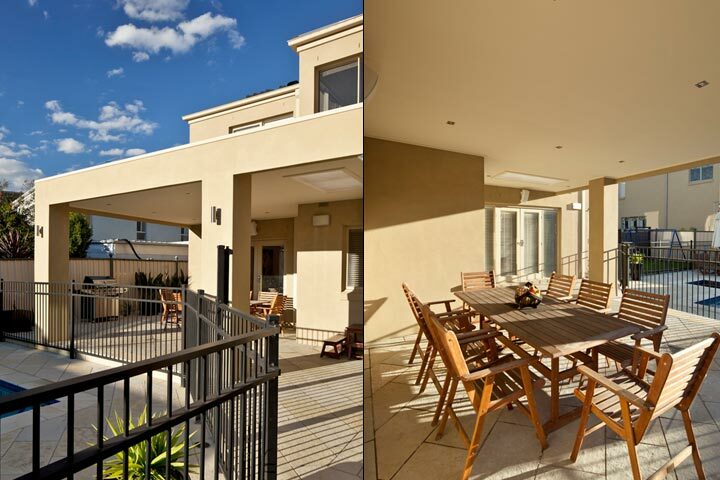 This exciting Alfresco project in Maribyrnong is now the true definition of luxurious living for its owners! 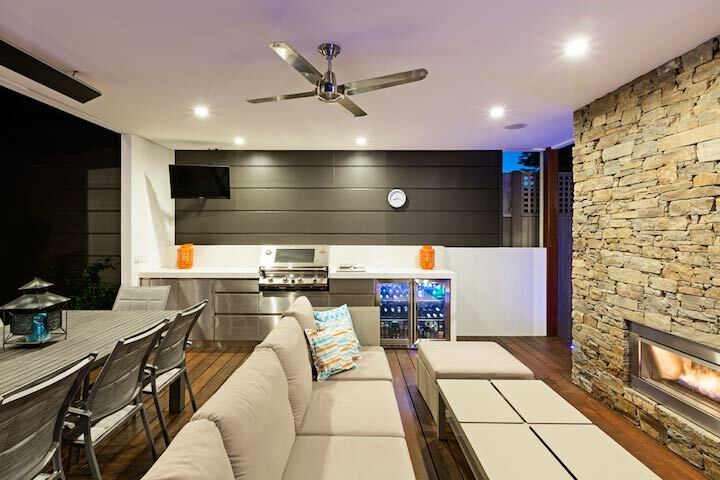 The customised design was supplied to the owners in virtual form, and it quickly became apparent that the new Alfresco could be everything imagined. 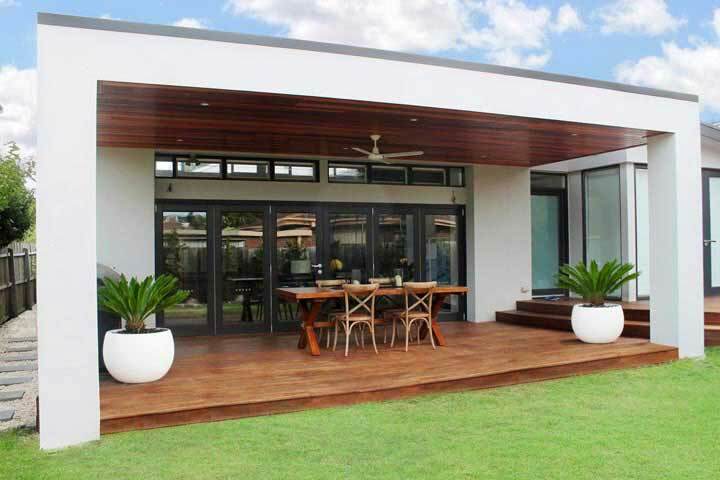 Why Build an Alfresco Area? 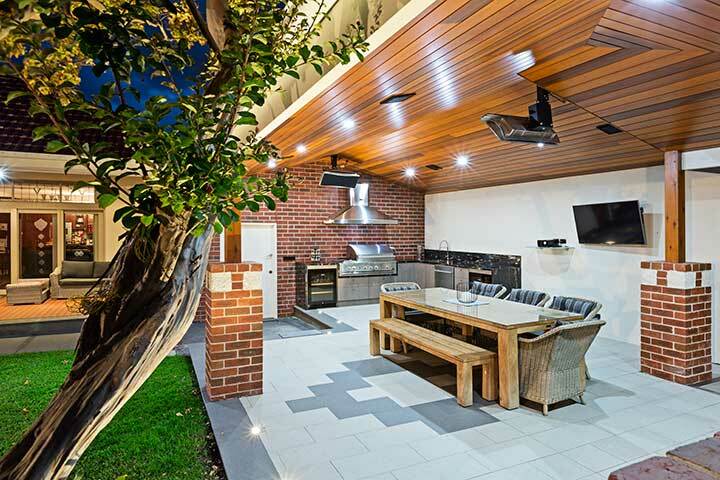 Not only are we committed to working with you to create an unique outdoor area that stands out as the best of Melbourne alfresco designs, but we’ve also got the necessary expertise when it comes to liaising with tradespeople and following the necessary building codes. 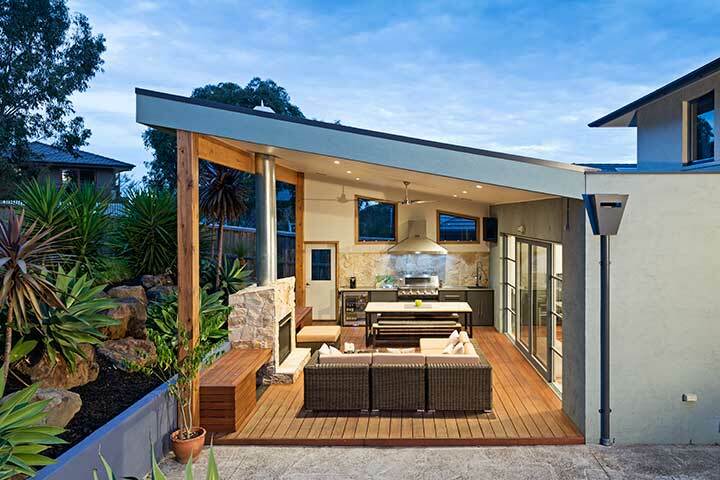 When we build the perfect alfresco area for your home, we’ll use a range of building materials depending on the existing characteristics of your home. 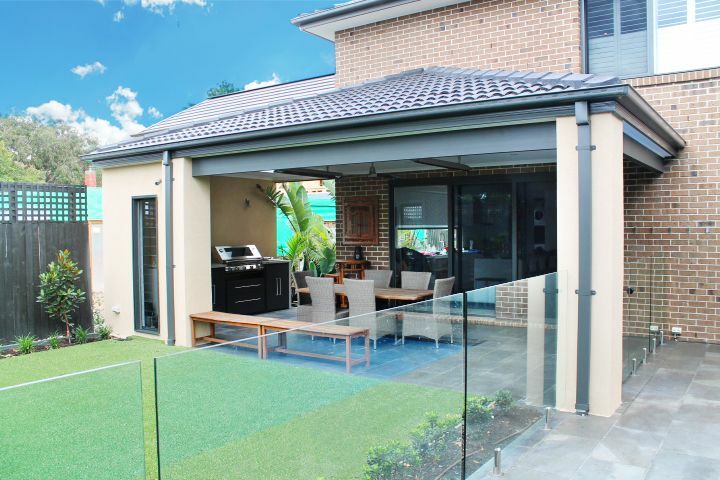 This ensures that you’ll achieve an outdoor extension that is seamlessly integrated into your home’s design. You might not have the perfect idea of the best outdoor area for your home, or you might have a very specific vision of what would suit your needs. Whatever your position may be, Custom Outdoor Living is dedicated to working with you to come up with a design that’s aesthetically pleasing. We can also streamline the process by ensuring the project will follow the applicable building regulations and codes. Book in a no-obligation phone consultation and we can advise you on the kind of designs that are likely to receive council approval. We’ll also visit your home to get a sense of what will work. 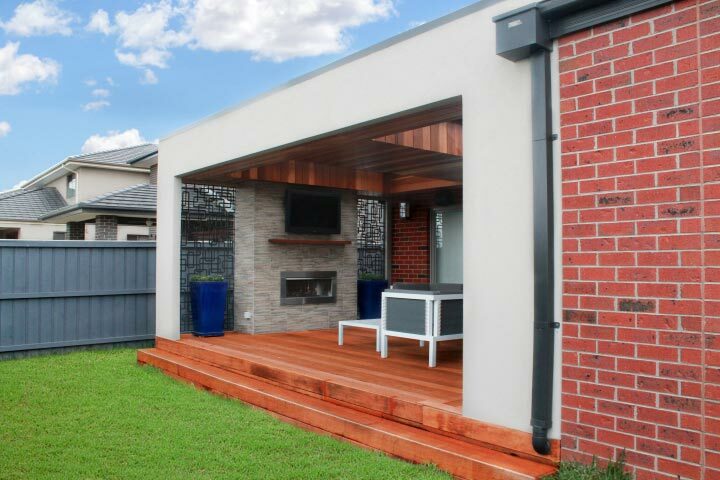 Once we see the unique aspects of your property, we’ll be in the perfect position to come up with a premium al fresco concept that you’ll be proud of and you’ll be glad you’re using some of the best alfresco builders Melbourne have around. Our full-time architectural drafting practitioners will take your ideas and bring them to life. Using the most recent Archi-Cad software, we can generate a 3-D fly-through video of your proposed project. 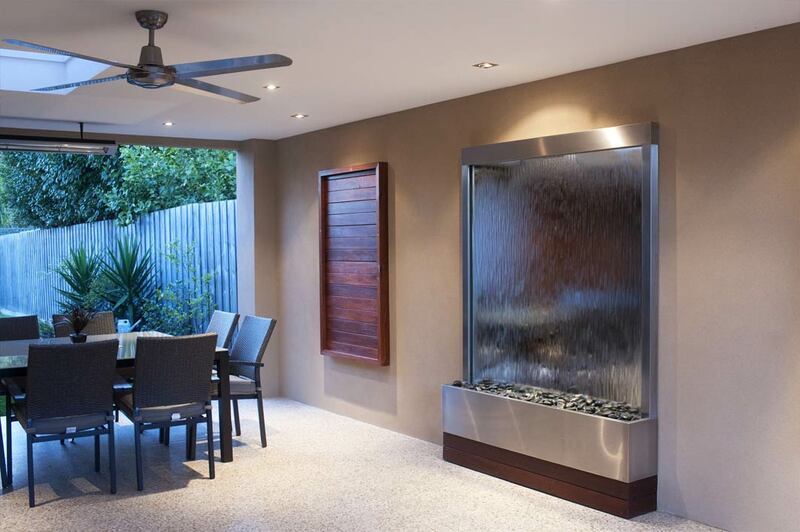 You’ll appreciate our streamlined service that makes an outdoor renovation so simple. Once your design has been finalised, we’ll take control of arranging planning permits. Whether the project requires a simple planning application, over-easement application or engineering, we know how to cross the T’s and dot the I’s. We strive to provide the very best building experience around and have many happy customers who are now enjoying the transformation of their property. “After several quotes from others we ended up going with Custom Outdoor Living. 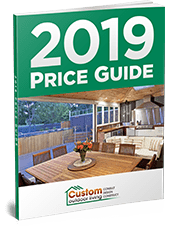 “Selecting Custom Outdoor Living to build our deck and extend our home through an outdoor entertaining area was definitely the best thing we ever did! 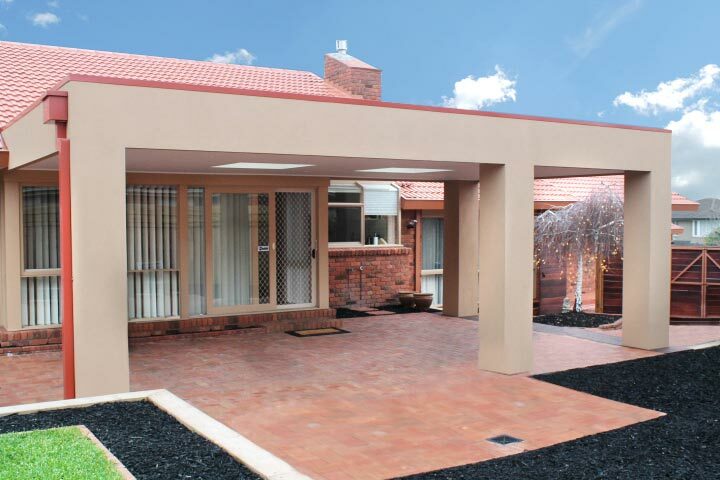 “The quality of the timber used and excellent and the trades made for an excellent construction. The craftsmanship shown by the tradesmen is all excellent. “I was very impressed with the professionalism shown by the entire Custom Outdoor Living team in bringing my carport project to fruition.